Remember the 100,000-mile bonus for new British Airways credit card sign-ups in 2010? The original offer—one of the most generous ever—featured 100,000 bonus miles after new cardholders charged $2,000 within three months. Quick, easy, and lucrative. In subsequent years, the offer was reprised, but with increasingly higher charge targets to earn the full 100,000 miles. Earn 50,000 miles after spending $2,000 within three months. Earn an additional 25,000 miles after spending $10,000 within the first year, or 50,000 miles after spending $20,000. So you’ll have to charge $20,000 to the card within 12 months to earn 100,000 miles. There’s no published end date to the offer, so it could be scaled back at any time. Note, per the offer’s terms and conditions: “This product is available to you if you do not have this card and have not received a new cardmember bonus for this card in the past 24 months.” In other words, if you earned the bonus and cancelled the card more than two years ago, you’re eligible to earn the bonus a second time. Cardholders earn 3 Executive Club miles for every $1 spent on British Airways purchases, 1 mile for every $1 spent on other purchases. Cardholders receive a free companion award ticket every year they charge $30,000 to the card. 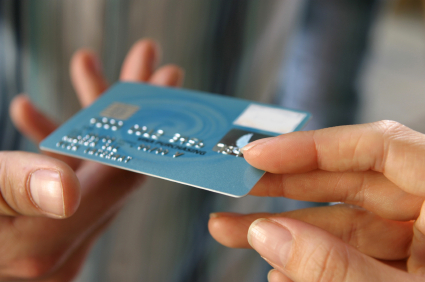 Smart chip technology, so the card can be used for chip-based purchases in Europe. For most consumers, $20,000 is a lot of spend. But a year is a long time. And 100,000 is a lot of miles. As always when discussing British Airways’ Executive Club program, the issue of sky-high fuel surcharges on award tickets must be raised. While it’s possible to get solid value by redeeming miles for flights on British Airways’ partner airlines, it does require extra work to circumvent the most noxious fees. What would you do with 100,000 British Airways miles?